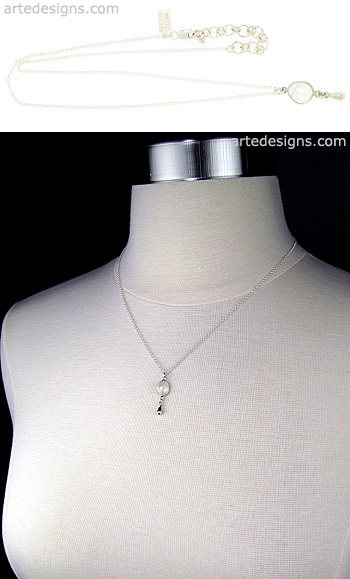 A little sterling silver drop hangs below a faceted moonstone bezel set in sterling silver, creating a delicate necklace that's perfect for any occasion. Moonstones produce shimmering colors when viewed from different angles (difficult to capture in a photo). Moonstone is believed to bring good fortune, to enhance passion, and balance the yin and yang. No 2 are alike. Pendant is 1 inch high. Adjustable 16 - 18 inch sterling silver chain with a sterling silver lobster clasp.